Ethnobotanical Leaflets 14: 626-41, 2010. 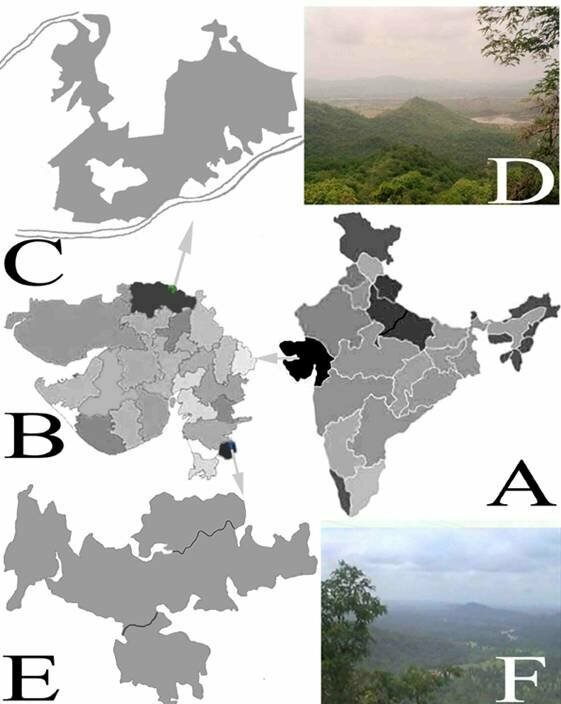 Traditional ethno-mycomedicinal practices involving macrofungi were documented using questionnaires from Jessore and Purna communities located in the Northern and Southern Gujarat. The quality of traditional knowledge within and in between the communities was compared by informant�s consensus index factor calculated for each ailment. The possibility of any relation between the traditional practices and informant�s consensus index factors was assessed as well. Alternately in order to classify the types of species usages, binary scores were allotted based on the presence or absence of species storage for later use, open sharing and specificity of the practices. Followed by this species scores were subjected to Euclidean distance dissimilarity matrix based hierarchical agglomerative clustering. In totality 23 species were documented addressing various ailments, of which 9 species were used to treat general aspects like convalescence, whereas others (14 species) were used for specific ailments. In the Jessore community 5 of the 7 ailments (41.2%) were related to skin problems, whereas in Purna community only 7 of 18 ailments (38.9%) had similar usage. The total ailments addressed and species documented from the Purna community had a greater diversity and bore higher informant�s consensus index value in comparison to the Jessore community. Cause and effect of some abnormal informant�s consensus values, rendering it dubious, are also discussed. Hierarchical agglomerative clustering revealed the influence of all the three aspects scored as above. The corner-stone species are more important than other species because they are necessary for the survival of the traditional know-how and well being of the communities engaging them and have applications. Moreover, depletion due to rampant use of such species calls upon there identification and conservation. This could be achieved to an extent by simple binary scores based clustering. Certain corner-stone species with closed (absence of) knowledge sharing were found to withhold specific practices. Those with general medicinal applications can be useful as nutraceuticals, whereas those with specific claims can be screened further in order to identify pharmaceutical potentials. In addition to this the present work mentions the documentation of traditional ethno-myco-medicinal practices of several species for the first time ever. Keywords: Ethnomycology, traditional-practice, medicinal-mushrooms, consensus analysis, clustering. The pre-recorded and existing anthropological interaction with macrofungal biodiversity on the medicinal axis calls for bioprospecting, which is yet to meet its zenith. Medicinal and edible uses of macrofungi in India is quiet prevalent, some of which dates back to 1700-1100 BC (Wasson, 1967). Based on plant-fungi associations (Hawksworth, 2001), theoretical estimates revealed that the state of Gujarat may possibly harbour around 2000 such species (Lahiri et al., 2008). Evolving from some of the seminal studies on the cultural significance of the mushrooms (Garibay-Orijel et al., 2007; Pieroni, 2001), the present work emphasizes on the species as the centre of study rather than the community withholding the traditional ethno-myco-medicinal practices (TEMPS). Preservation of the knowledge pool, identification, conservation and characterization of the species are the primary factors that necessitated such a paradigm shift facilitating species-centric anthropological interaction. The communities studied reside miles away from modern day state-of-the-art medical facilities and depend largely on traditional and natural medicinal resources, in absence of which or during emergency they walk down several miles to the nearest city, with high fever for diagnosis and treatment. Apart from studying the medical practices (entailing macrofungi) of the communities, pharmacological validation of the claims was also desired to be followed by. In order to do so, from the pool of practices important ones were to be identified for further analysis. Thus the present study is an effort to synchronize the analysis of traditional practices and bioprospect them as well. The concept of key-stone species is well-known in ecology, wherein such species are important for the survival of other dependent species. Similarly, vital macrofungal species that are used to tackle important or critical ailments suffered by the subjects of a community can be called as corner-stone species. Identification of such corner-stone species was a prioritized as it was integral to both ethnomycological and bioprospecting spheres. The use of such species was often not shared by traditional know-how practitioners, which will be addressed here as �closed knowledge pool�. Contrarily some of the know-how were very common to all and were openly shared hence addressed as �open knowledge pool�. The sampled community contained people from both kind of knowledge pools and hence are mixed. This is the first report of medicinal use of macrofungi from the state of Gujarat in Western-India. Moreover, the TEMPs documented practices claimed for several species are also novel. Of all the 23 species documented those with specific uses will be studied further for their candidature regarding pharmacological evaluation. Gujarat harbours rich biodiversity withholding 13% of countries plant diversity, with a 15% of 29 tribes nurturing traditional knowledge regarding 750 medicinal plants of 1200 general plants. The present study was contained within the Jessore Sanctuary, in Banaskantha, in the northern part of the state and the Purna Wild life sanctuary in the southern part (Fig. 1). The details were furnished by the local tribes, of which, the Ghanashia and Rabaris were from Jessore Community (JC) and Dangi people from Purna Community (PC). The present report deals only with the medicinal aspects of the ethnomycology, with respect to its ecological niche. The collection of materials was done by S. K. Lahiri, with prior permission of the Department of Forest, and the documentation of which are endorsed under the Biodiversity Act. The samples were identified with the help of literature (Singer, 1975; Leelavathy, 2000; Lincoff, 1989; Pegler, 1986), and an eminent taxonomist, Dr. A. B. De, Raj College, Burdhwan, West Bengal (Lahiri and De, 2007). Total 40 people were considered for study of which some were excluded if information was vague. The informants were asked to respond to the queries of the questionnaires prepared in accordance to the study. Consensus analysis of TEMPs in terms of Factor of informant consensus (Fic) was done to test the reliability, homogeneity and the extent of selection of certain plants for treating an ailment. Fic was calculated as reported earlier (Subramanyam and Newmaster, 2009), Fic = Nur � Nt /(Nur � 1). Wherein, Nur is total number of reports within the community for a particular ailment and Nt is the total number species used for that particular ailment in the community. The hierarchical agglomerative clustering of species was done from Euclidean distances in turn calculated from binary scores of the 3 factors elaborated below. In order to characterize the practices and the involved species, 3 factors influencing it were devised. The presence of the desired traits in all the 3 factors were ascribed the value of one, whereas for the undesired traits, zero. Based on the binary data, a dissimilarity matrix of Euclidean distances was subjected to hierarchical agglomerative clustering based on with group-average linking rule (Hintze, 2007). Use of species for general or specific ailments, open or restricted sharing of the know-how within the community and storage of species for later use are the 3 factors that were used to classify the species. The ailments addressed were found to be either general (convalescence, good health, strengthening) or specific (for a particular disease/ailment). Species used for general practices were scored as 0 and specific as 1, because the latter was more important over the other. Same or different practitioners shared the use and identity of some species with others people of that community (scored as 0), whereas for some species the practice and identity was kept secret (scored as 1). It was hypothesized that the use of the latter is more critical and such species may be important. It was also noticed that some species were preserved for later use. The questionnaire prepared was made to accommodate this query. If the practitioner desired to store the species for later use, then the score of 1 was assigned, or 0 if not stored, as storage would mean that they were important for latter use. Since ages mankind has bioprospected the biodiversity that was available in their vicinity. The traditional medicinal practices established by tribal people, entirely dependent on natural resources, tend to retained ancient knowledge as survival of the race is a crucial issue. Habitat erosion, deforestation and ever shrinking traditional knowledge pool can negatively influence the furtherance of such practices that are essential for the dependent communities. Moreover, they are an integral part of the future arsenal for drug discovery. Thus identification and documentation of such practices are of prime importance as of now. The ethno-myco-medicinal traditional practices of the tribal from two communities were documented and analyzed to establish the quality of various practices and characterize and segregate them. Of 20 informants consented in each community (total 40) 15 were short-listed and interviewed. Those presenting vague or ambiguous practices were excluded. For the sake of homogeneity of the study the types of informants were equi-proportional between both the communities. Of total 15 candidates of a community, 3 were traditional medicine practitioners, 10 were farmers and 2 were housewives. The TEMPs were observed to be widely different between both the communities. The types of species also varied with respect to their taxonomic origin and ecological niches. The Traditional ethnomycomedicinal practices revealed around 23 total species which were recognized based on the rigorous cross-checking of answers to the questionnaires. The number of TEMPs found in JC was much lesser to that in PC. The JC reported 5 TEMPs in comparison to the 18 TEMPs from PC (Table 1). All macrofungi are arranged with respect to their local names, taxonomy, hosts if any, their respective uses and their ecological niches. Table 1. TEMPs from Jessore and Purna community. It is used in diseases like pneumonia, constipation, and eczema. It is also used to treat children suffering pneumonia or pneumonia like symptoms. Around 5 to 6 entire fruiting bodies are triturated fresh with water for several times to form a uniform paste. The paste is consumed orally for pneumonia or constipation but is applied topically for eczema. Generally for pneumonia 1 tablespoon is administered for 3-5 times on different days. For sever constipation same dose is given after dinner for 2 to 3 days. In case eczema the affected area is covered with the paste and bandaged. This is repeated till recovery is evident. It is mostly used for skin related diseases like lesions, bruised and infected skin, or for wound healing. The part of the fruiting body used in these cases is the cap and not the stipe. To be more specific the cap is opened and the spore bearing gills are applied to the affected area directly, which is then bandaged. It can be said that the spores are given the prime importance. The spores are applied till the healing is considerable. The cap is crushed in mortar with water and applied on wound, skin infections, boils, or lesions but is not bandaged. The application is repeated twice everyday for 3 days or longer if needed. The entire mushroom is crushed in mortar and applied on the boils to speed its maturation and the regression. One or two applications are sufficient to treat. One or 2 fruit bodies are applied topically only for physical afflicted wounds. The gleba is triturated in water and applied over wounds and bandaged. The same is repeated for 2 to 3 times or till total recovery is confirmed. It is dried and used for prophylaxis throughout the year for general protection against diseases or with special reference to chicken pox. Also burned and inhaled to speed up the occurrence, maturation and scaling of chicken pox. Cooked or raw mushrooms are consumed orally. Generally they (7 to 11) are triturated in water and applied on mumps affected edema, fruiting body heated and padded on simple edema or inflammation; used for mastitis or initial boils; also used to pace up the full occurrence of chicken pox by inhaling heated or partially burned fruiting bodies on fire. Application for 1-2 times is said to be sufficient. Applied on lesions, edema, boils, mastitis, rashes, bruised skin infection, pimples, impetigo, pustules, fissures, any inflammation or wound healing purpose. Spore mass applied in water or oil base 1-2 times. The spore mass used as topical application on bruised skin infections directly till recovery. Topical application of spores on edema or any kind of inflammation as a sure shot is claimed. Practitioners have so much faith that in its absence soil bearing mycelia is also used. It is said to impart strengthening effect when consumed orally after cooking. It is a prized edible mushroom in the locality and is consumed without the stipe. It is consumed after proper cooking as it is believed to be hard to digest. It is stored through the year as powder and added in soups for better health. It is also used specifically during convalescence. It is harder to chew and hence is less preferred. Properly cooked stipeless dried powdered mushrooms are orally consumed for strength. It is also sometime known to cause nausea and stomach ache. It is consumed orally for general good health. They (No. 19 to 23) are consumed to attain good health specifically during the monsoon or during convalescence. JC engaged macrofungi entailing treatment regimes for pneumonia, constipation, eczema, bruised skin infection, lesion, boils and wound healing. Whereas, PC employed macrofungi species for immune enhancement required in specific diseases apart from addressing ailments like bruised skin infection, edema, mumps, measles, chickenpox, mastitis, boils, wound healing, rashes, lesions, pimples, impetigo, pustules, fissure and inflammation in general, employing macrofungi. The latter community was found to address a wider range of ailments countered by TEMPs. �Cc (Ershova et al., 2001; Efremenkova et al., 2003; Yang et al., 2003; Fan et al., 2006; Luo et al., 2004; Badalyan et al., 2003) and PL (Chen et al., 2006; Kim et al., 2005; Yeon et al., 2008) are the only species for which substantial amount of bioprospecting and bioactivity is already done. Two separate species belonging to the genus of Tt are reported to have antioxidant (Puttaraju et al., 2006) and neuritogenic (Qi et al., 2001) activities, which are not directly related to the TEMPs recorded by us. TEMP related activity of Dictyophora indusiata, a species dissimilar to local variety Dp, is reported to posses anti-inflammatory effects attributed to (16)-branched (13)--D-glucan (Hara et al., 1982). This corroborates well with the local TEMP (Table 1, No. 14) thought it seems to be a different species. TEMP of Bv was reported for other species used for healing abscess and other wounds in animals (Lans et al., 2007). Pm is known to possess antioxidant activity that may be an integral part underlying its TEMP (Chang et al., 2007). Rest of the TEMPs and the species are reported here for the first time to the best of our knowledge. Consensus indexing has been widely practiced for evaluating the reliability of the traditional knowledge. Most of the ailments treated by the Purna community had a better informant�s consensus index than the Jessore community. PC used a total of 18 species for various ailments but JC employed only 5 species. Jessore is in the North of the state at the border of Rajasthan and has many dunes with patches of sparse forest on hills as it receives very scanty rainfall. Purna is located in the southern region of the state, which has dense dry deciduous forests and receives heavy rainfall. This geo-climatic difference can influence the density and the diversity of macrofungi available in a particular geographical location and can leave the traditional practitioner with meagre resources than others with access to a greater biodiversity. Any-how, such factors may not be the final arbitrators because the quality of know-how may have fewer but rarer significant practices within the limited resources with respect to the varying ecological niches. Good consensus values should be a help in identifying the important species. Thus, such a marker that can attach a range of values to evaluate the reliability of the traditional knowledge can be of great importance for pharmacological research as well. The credibility of the consensus analysis regarding both the aspects in TEMPs was assessed for the current small and mixed knowledge pool. �The analysis of Fic (Informant�s consensus index factor) revealed varied outputs (Table 2). The values were high for most of the ailments ranging from 0.9 to 0.928, except three ailments, which gave erroneous results due to only 1 report causing the denominator to be 0. In PC, 11 diseases scored the maximum indicating no options to the species employed, but 2 ailments were low scoring with several options. Certain scores ran into negative figures because they had more number of species (Nt) and lesser number of reports (Nur). The multiplicity of species is due to superficially indistinguishable closely related macrofungal species, which is common for polypores of the same genus. Such may not be the case with plants. Some times several species of a genus may be closely associated chemotaxons. Thus either of them may serve the purpose as the active compound may be conserved in most of them. Pharmacologists screening for such active molecules can isolate it from either of them, but in such case Fic can be misleading as it remains unattended by the consensus paradigm. Table 2. Informant consensus analysis (Higher values of the Informants consensus index factor (Fic) between 0-1 signify better consensus). The negative values also show closed knowledge pool causing lesser or single reports for Nt > Nur (number of species > reports), which is also true for Nur = 1 and hence Fic = infinity. Thus all values below zero belong to closed knowledge pool, but for Nur > Nt closed pools are also possible. Fic is impaired for smaller studies, as Nur has to be > 1 and Nt has to be > Nur to get only positive values. Moreover, due to ecological challenges like habitat erosion and species dilution, the effective species might become rare, which will stress the practices and can have two possibilities. If no alternates are available then traditional knowledge might become extinct as well because of the lack of practice over generations. In such cases of rare practices, Nur may be 1 and Fic will be . If several alternates to the species are available then another possibility arises, wherein Nt may be high due to dilution of know-how. The Fic value is indifferent to such cases. Use of each species for multiple symptoms of the same ailment may cause higher Nt which can be deceptive as Fic will be low. The Consensus value is rigid as all the plants used for the illness are treated equally as they may have lower or higher efficacy. Thus dynamic treatment is needed which treat all the species as case-to-case basis. The identification of the most effective species of several options for a particular ailment is the target for molecular investigations. For objectives like drug discovery consensus value may be deceptive as one of the several species may be very effective, but will be enshrouded by other species causing low consensus value. Thus, preference given to one species over others can mark its greater efficacy over others and has to be incorporated in the estimates. Moreover, if one species is used in different illnesses which are alike then the community knowledge may not have discrepancy but will have lower richness as lesser numbers of species are used for more diseases. Thus, not only the health but the wealth of the community knowledge is important as well but this is not addressed by Fic. Hence, this analysis is not very successful in the current scenario and yet other need based analysis addressing other variables is required. Such factors can be used to segregate the practices or species. Hierarchical agglomerative clustering can be one such simple tool. Some excellent studies on the cultural significance of the mushrooms (Garibay-Orijel et al., 2007; Pieroni, 2001) seemed to be from open knowledge pool as the know-how of species usage was common. Moreover, the application of such species was mostly addressing general health remedies. The present study differed in both the aspects. The knowledge pool and the practices or application of species within a particular community is found to be an admixture of both situations. In addition to this, the aim of the study also differed as identifying the corner-stone species was essential as explained above. The tailored observations addressing the current requirements were made to segregate the species based on three aspects of usage and know-how, which could easily isolate the corner-stone species. Figure 2. Higherarchical agglomerative clustering of species. The clusters of species are separated at various dissimilarity distances. The brackets are labelled as per the categorizing factors. Under the storage factor, the not stored group includes cluster-6 marked *, and stored group includes cluster-2 marked . The species used for specific practices attending a particular critical-ailment is more precious than those used for general (non-critical) purposes as strength giving and recovery from illness. It was observed during the study that the know-how of such species employed for specific ailments were known by few practitioners, some of them being traditional medical practitioners, immobilized the knowledge. This caused the existence of the closed knowledge pool co-existing with the open knowledge pool. Thus such species can said to be more important regarding medicinal values than the general ones. Species stored for later use were found to be important, and hence needed to have preeminence over others. Hierarchical agglomerative clustering of species based on the presence or absence of three factors mentioned above revealed a typical clustering pattern (Figure 2) with group-average linking rule generating best cophenetic correlation coefficient (0.9968) and delta value (at 0.5, 0.035; at1.0, 0.052). The 1st cluster (Rk, Kk, Tm, Tu, RA, R and Pt) separated at distance value of 1 of total 6 minor clusters. The 2nd cluster had L2 and L1 (distance value 0.9) as outliers to the 3rd cluster. Sc, Lp, Ph and Cc separated from the rest at 0.77, where 3 minor clusters were observed. Tt (0.65) was outlying a cluster of Rd, Po, Pr, Pm, Pl and Pd in turn separating from the last cluster (0.57) of Dp, Bv and Xy. L1 and L2 have TEMPs alike 1st cluster marked by non-specific usage (aiding recovery from illness or strengthening), but are outlying to the rest (with ailment specific TEMPs) because they are stored for later use. The 3rd cluster includes TEMPS for specific ailments, yet it is an outlier to the rest as it is not stored being prone to quick decay. Although Tt has specific TEMP and is stored like those in the following clusters it is a singleton because it is in open knowledge pool. The 6th cluster is separated from 5th as the later is stored and former isn�t. The 5th cluster was mostly comprised of polypores because all of them do not decay easily unlike those in the 6th cluster, which are soft fleshy and perishable species. Thus storage of the species is directly related to its perishable nature and not necessarily to its medicinal value alone. Moreover, the storage parameter gave intermingled clusters and hence is not a potent factor to segregate the species. At the same time species involved in general (clusters 1 and 2) and ailment specific (clusters 3 to 6) treatments were segregated. This is a significant attribute as further medicinal investigations are to be done on those species which have ailment specific approach. It is also observed that the species were well segregated along the knowledge pool paradigm. TEMPs which were not shared in the community were found to address important and specific ailments, though some specific TEMP related species were in open knowledge pool. Species with specific TEMPs in open knowledge pool were largely related with skin related disorders, which were less serious that those specific TEMPs in closed knowledge pool. In comparison with the Jessore the Purna community revealed several significant TEMPs, though both the communities contribute to usages reported for the first time. The mention of TEMPS involving species like Xy, Ph, Lp and Sc from JC and Tt, Rd, Bv, Pd, Pr, Po, Pm and Dp from PC are novel. Preliminary bioprospecting by simple binary clustering could characterize the species-practice data matrix, wherein the edible mushrooms used for non-specific ailments can be potential sources of nutraceuticals. Other species addressing specific ailments will be further studied for their pharmaceutical potential. Fic gave ambiguous results which can be attributed to several reasons like non-plant study, heterogeneous knowledge pool (closed and open) and comparatively smaller subject size. Herein, the health (reliability) of the community knowledge was better depicted by multiple factors/markers, rather than single Fic value, which was useful in capturing the wealth (richness) of community knowledge as well. Fishing of promising practices from the pool of vague practices could be grossly achieved to an extent, which for fine tuning at the level of individual species will need more number of markers. for a detailed pharmacological evaluation such an analysis , will be useful in identifying few potent species from a big database. The work is funded by Gujarat Council on Science and Technology under the project GUJCOST/MRP/2004-05/200419. We heartily thank Mr. Pradeep Khanna and other officials of Department of Forest and the traditional knowledge practitioners, for permitting, co-operating and encouraging the study. Badalyan, C.M., Gasparyan, A.V., Garibyan, N.G.� 2003. Investigation of the antioxidant activity of some basidial macromycetes. Mikologiya I. Fitopatologiya 37: 63 - 68. Chang, H.Y., Ho, Y.L., Sheu, M.J., Lin, Y.H., Tseng, M.C., Wu, S.H., Huang, G.J., Chang, Y.S. 2007. Antioxidant and free radical scavenging activities of Phellinus merrillii extracts. Botanical Studies 48: 407 - 417. Chang, H.Y., Peng, W.H., Sheu, M.J., Huang, G.J., Tseng, M.C., Lai, M.T., Ho, Y.L. 2007. Hepatoprotective and Antioxidant Effects of Ethanol Extract from Phellinus merrillii on carbon tetrachloride-induced liver damage. Am. J. Chinese Med. 35: 793 - 804. Chen, W., He, F.Y., Li, Y.Q. 2006. The apoptosis effect of hispolon from Phellinus linteus (Berkeley & Curtis) Teng on human epidermoid KB cells. J. Ethnopharmacology 105; 280 - 285. Efremenkova OV, Ershova EY, Zenkova VA, Tolstych IV, Dudnik YV: Antimicrobial activity of medicinal macrofungi from the genus Coprinus (Fr.) S. F. Gray (Agaricomycetideae). Intl. J. Med. Mush. 2003, 1: 37 - 42. 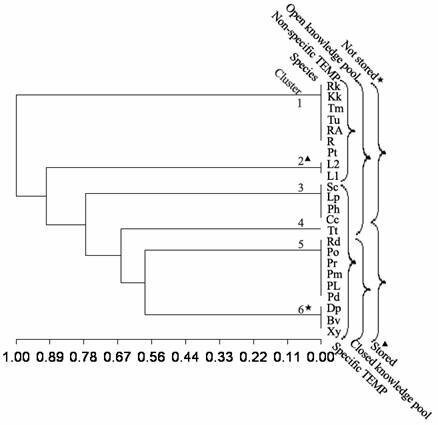 Ershova, E.Y., Efremenkova, O.V., Zenkova, V.A., Tolstych, I.V., Dudnik, Y.V.� 2001.The revealing of antimicrobial activity of strains of the genus Coprinus. Mikologiya I. Fitopatologiya 35: 32 - 37. Fan, J., Zhang, J., Tang, Q., Liu, Y., Zhang, A., Pan, Y. 2006. Structural elucidation of a neutral fucogalactan from the mycelium of Coprinus comatus. Carbohydr. Res. 341: 1130 - 1134. Garibay-Orijel, R., Caballero, J., Torres, A.E., Cifuentes, J. 2007. Understanding cultural significance the edible macrofungi case. J. Ethnobio. Ethnomed. 3: 1 - 18. Hara, C., Kiho, T., Tanaka, Y., Ukai, S. 1982. Anti-inflammatory activity and conformational behavior of a branched from an alkaline extract of Dictyophora indusiata Fisch. Carbohydr. Res. 110: 77 - 87. Hawksworth, D.L. 2001. Macrofungi: the extent of the unexplored potential. Int. J. Med. Mush., 3: 333 - 337. Hintze, J.L. 2007. NCSS, PASS, GESS. NCSS� Kaysville, Utah, U.S.A.
Kim, J.D., Kim, M.B., Lee, J.S. Composition for treatment and prevention of cold comprising extract of African Phellinus linteus mushroom inhibiting influenza virus by antiviral effect and immunity enhancement. Kongkae Taeho Kongbo 2005, Chem. Abstr. 145: 299539. Lahiri, S.K., Shukla, M.D., Modi, H.A. 2008. An estimate of mushroom biodiversity and datasheet preparation for documentation of tribal know-how of macrofungi from Gujarat. Adv. Biol. Sci. 7: 29 - 33. Lahiri, Suman, De A.B. 2007. Record of Phellinus Quel. from Gujarat (India). J. Botan. Soc. Beng. 61: 137 - 142. Lans, C., Turner, N., Khan, T., Brauer, G. 2007. Ethnoveterinary medicines used for ruminants in British Columbia, Canada. J. Ethnobiol. Ethnomed. 3 - 11. Leelavathy, K.M. 2000. Polypores of Kerala,University of Calicut, Daya Publishing house, Kerala, India. Li, Y., Xiang, H. 2005. Nematicidal activity of Coprinus comatus. Acta. Phytopath. Sin. 35: 456 - 458. Lincoff, G.H. 1989. Simon and Schusters guide to macrofungi, Nature guide series, U.S.A., Fireside Book, Simon and Schuster Inc. New York, U.S.A.
Luo, H., Mo, M.H., Huang, X.W., Li, X., Zhang, K.Q.� 2004. Coprinus comatus: A basidiomycete fungus forms novel spiny structures and infects nematodes. Mycologia 96: 1218 - 1224. Pegler, D.N. 1986. Agric Flora of Sri Lanka. Coode M.J.E. (Eds) Kew additional Series XII, Royal Botanical Garden, Her Majesties Stationery Office, London. Pieroni, A. 2001. Evaluation of the cultural significance of wild food botanicals traditionally consumed in Northwestern Tuscany, Italy. J. Ethnobiol. 21:89 - 104. Puttaraju, N.G., Venkateshaiah, S.U., Dharmesh, S.M., Urs, S.M., Somasundaram, R. 2006. Antioxidant activity of indigenous edible macrofungi. J Agric Food Chem 54: 9764 - 9772. Qi, J., Ojika, M., Sakagami, Y. 2001. Neuritogenic cerebrosides from an edible Chinese mushroom. Part 2: Structures of two additional termitomycesphins and activity enhancement of an inactive cerebroside by hydroxylation. Bioorg. Med. Chem. 9: 2171 - 2177. Singer, R. 1986. The Agaricales in modern Taxonomy, Koeltz Scientific Books, Koenigstein, Federal Republic of Germany. Subramanyam, R., Newmaster, S.G.� 2009. Valorizing the 'Irulas' traditional knowledge of medicinal plants in the Kodiakkarai Reserve Forest, India. J. Ethnobio. Ethnomed. 5: 10. Wasson, R.G. 1971. Soma: Divine Mushroom of Immortality, Ethnomycology Studies No.1, Harvest special, Harcourt Brace Jovanovich, New York, U.S.A.
Yang, X., Wan, M., Mi, K., Feng, H., Chan, D.K.O., Yang, Q.� 2003. The quantification of (1, 3)--glucan in edible and medicinal mushroom polysaccharides by using limulus G test. Mycosystema 22: 296 - 302. Yeon, S., Kang, Y.H., Jung, J.Y., Kang, I.J., Han, S.N., Chung, J.S., Shin, H.K., Lim, S.S. 2008. Inhibitory constituents of aldose reductase in the fruiting body of Phellinus linteus. Biol. Pharmaceutical Bull. 31: 765 - 768.